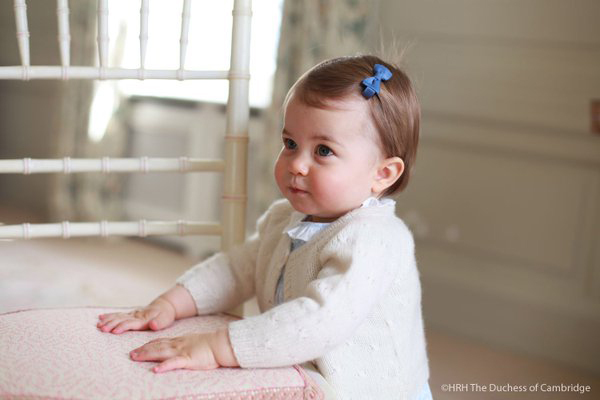 The royal Princess celebrated her first birthday a few days ago and it had us thinking. What does one buy a princess on such a special day? So, in honour of little birthday princesses everywhere, whether she wears a real tiara or a plastic one, here’s our list of the most over-the-top princess-worthy presents to give a little girl. This week Kensington Palace released precious photos of Princess Charlotte leading up to her first birthday. They also released a list of gifts the princess has received over the past 12 months, and, as you can imagine, the items are luxurious to say the least. What does a little princess who has everything need? 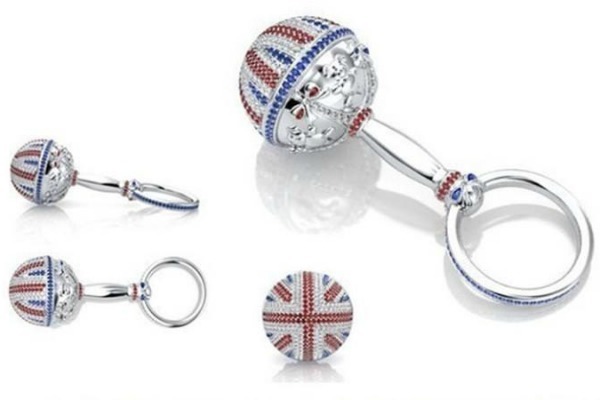 How about a white gold rattle studded with diamonds, rubies and sapphires from the Natural Sapphire Company? This is what Princess Charlotte received from Mexican President Enrigue Pe ñ a Nieto and his wife Angelica Rivera. The astounding piece is worth some $57,600. In addition to the silver rattle, Princess Charlotte has received puzzles, stuffed animals, teddy bears, baby blankets, booties and blankets. 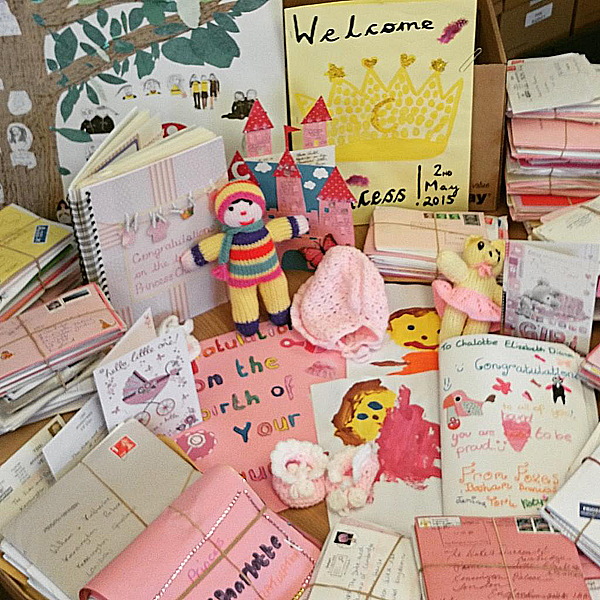 The gifts, donations and toys have come from 64 different countries around the world. While we can’t really expect world leaders to lavish our own little princesses with gifts, we have tracked down some of the craziest and most expensive birthday finds fit for any princess. Every toddler loves bubbles. And Tiffany’s too, apparently. So it only makes sense to combine the two and purchase a Tiffany Bubble Blower ($250), for the most extravagant bubbles in the history of the world. 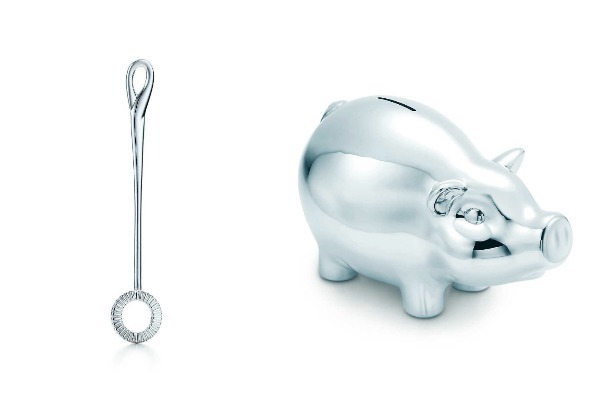 Or, how about a Tiffany Piggy Bank for $3300? Every princess needs a Princess-themed cake but how about one featuring 4000 real diamonds? Debbie Wingham was commissioned to make the world’s most expensive cake, at approximately $75,00,000. But this lavish piece of work is only the icing on the cake. Why not pair it with a Princess-themed bedroom set, like the one we showed you in our recent fantasy bedroom round-up? This one above only cost a cool $US200,000 from American company Dahlia Designs. 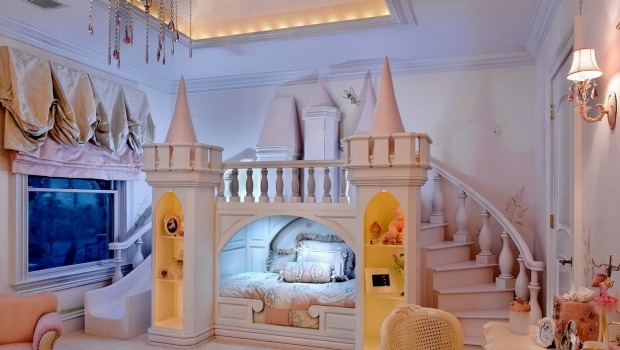 Complete with a castle-shaped bed with turrets and Swarovksi crystals, your little princess will feel right at home. How about something special for the backyard? 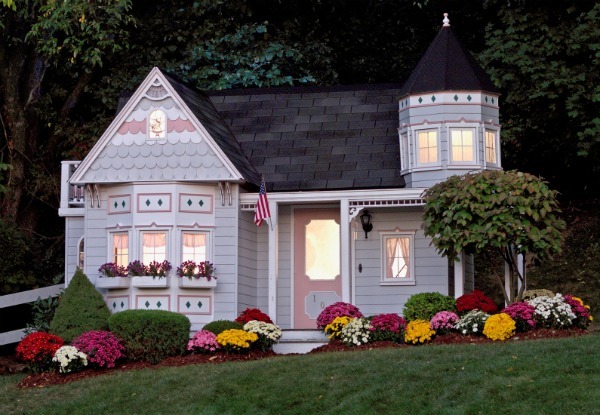 Who needs a cubby house if you can have Grand Victorian House for $US20,000? I might move in…. 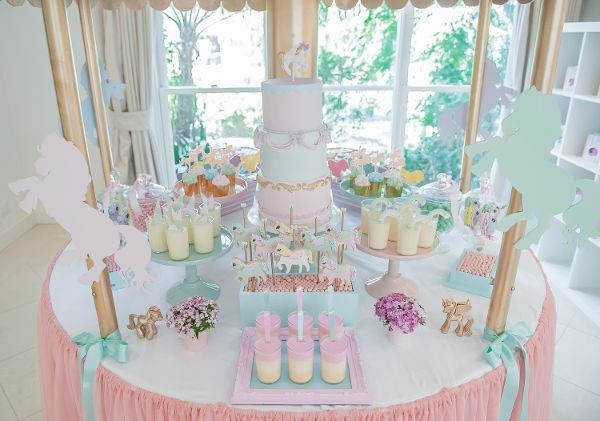 You can’t celebrate your little princess without an over-the-top party. Check out this little girl’s $50,000 Disney-themed birthday party or Beyonce’s daughter, Blue Ivy’s garden themed party for some ideas. Or, browse through our party section for some more affordable options. 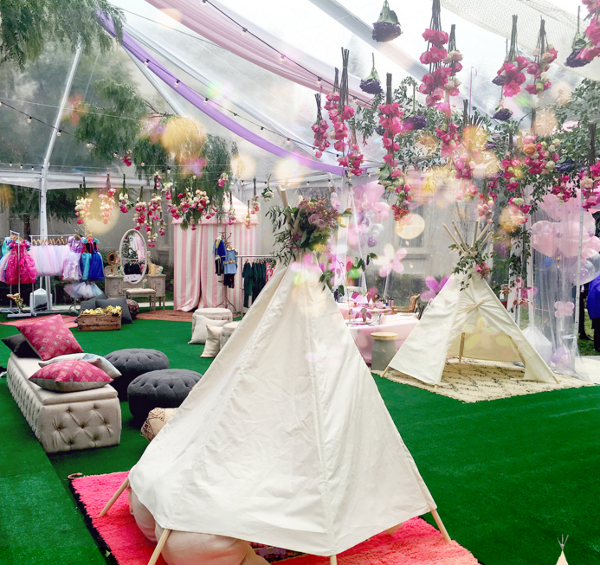 We especially love Jasmine’s Frozen birthday and Zoe’s Pony-inspired party. And don’t forget the party dress. 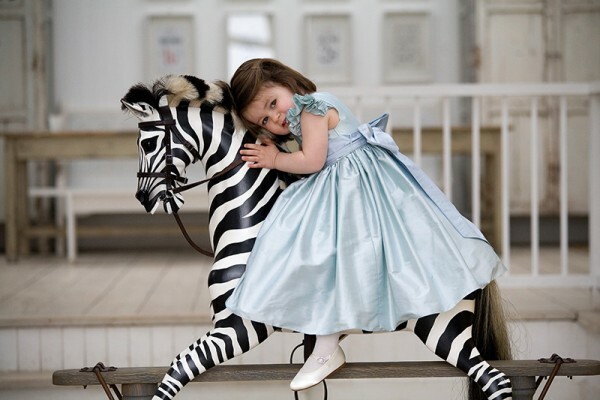 For a real royal touch, you’ll be wanting a frock from Nicki Macfarlane, designer of the very flower girl dresses worn at Kate Middleton’s wedding. You can find her sumptuous frocks for girls locally over at Stellina Couture, priced from a very royal $550.